At a public meeting to unveil the project on July 7, Lambert expressed reservations about the garden and complained that he and his neighbors who lived on and near Cottage Row had not been adequately consulted or notified about the meeting. By a second hearing on August 11, Lambert arrived with a group of neighbors ready to declare his opposition to a Japanese garden on the Sutter Street side of the Cottage Row Mini Park, which he has denounced as “an out-and-out cultural land grab.” In turn, Paul Osaki — who is spearheading the garden project from his post as executive director of the Japanese Cultural and Community Center in Japantown — rallied a full house in favor of the memorial. “Cottage Row is the only place in Japantown they would recognize,” Osaki said of the first-generation founders. He introduced the project by recounting the history of the neighborhood, disrupted first when Japanese-Americans were locked up in internment camps during World War II, then again after they returned and the Redevelopment Agency leveled almost all of Japantown. When the first Japanese-American in the audience spoke in favor of the project, Lambert demanded that all speakers state whether they lived in the neighborhood. A rumble ensued. “Knock it off,” one elderly Japanese-American lady finally instructed. It soon became clear that old wounds were being ripped open again. 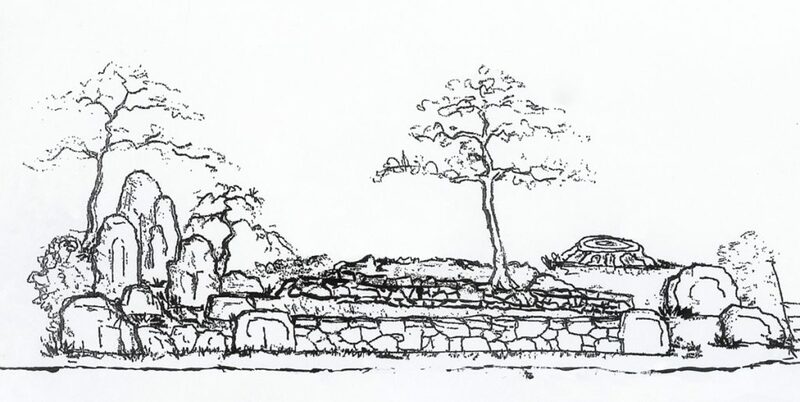 A number of Japanese-American speakers noted the exile and displacement their families had experienced and embraced the garden project as a way to honor their ancestors. 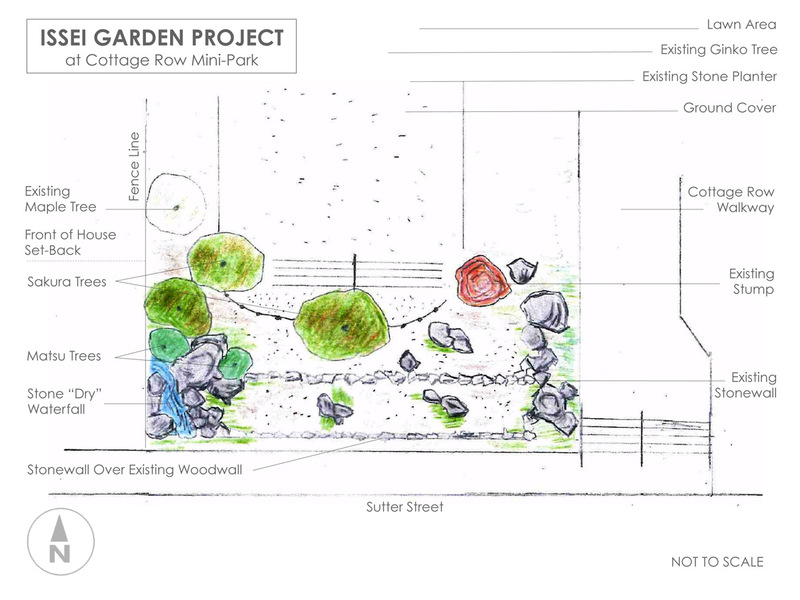 The garden would occupy 25 feet on the Sutter Street side of Cottage Row. Cottage Row, the brick lane that runs mid-block between Fillmore and Webster from Bush to Sutter, opening onto a mini park, was created in 1882 by Col. Charles L. Taylor. As rental property, Taylor built several houses on Bush Street and six row houses behind them in the middle of the block. 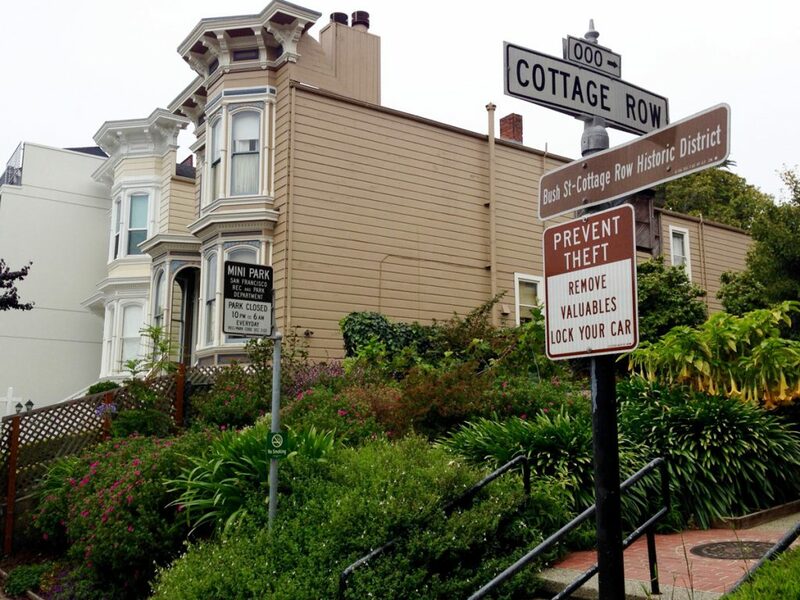 All are part of the Bush Street-Cottage Row Historic District, which was placed on the National Register of Historic Places in 1982, nominated by noted neighborhood architectural historian Anne Bloomfield. Lambert’s report concedes that four of the six homes on Cottage Row were occupied by Japanese-Americans at the time of internment, plus two units at the top of the row on Bush Street. Lambert said it was important that any memorial honor not only Japanese-Americans, but also “the rich and diverse history of its surrounding neighborhood,” including Euro- and African-Americans and the gay community, all of whom helped nurture Cottage Row through the years. A drawing of the proposed Issei memorial rock garden on Cottage Row. A third community meeting was held on August 17 when the Japantown Task Force considered the Issei garden project. Paul Osaki again presented the project. Marvin Lambert again opposed it. But two of his neighbors disagreed, and spoke in favor of the project. “It’s ideal for this garden,” said Jeff Staben, who owns 1 Cottage Row. Osaki said he would take up the project with the staff of the Department of Recreation and Parks, which has jurisdiction over the Cottage Row Mini Park, before deciding how to proceed. Additional neighborhood meetings will be held this month by committees of the Japantown Task Force.